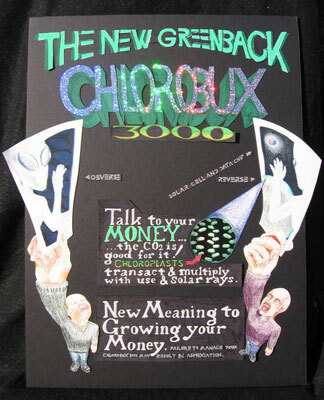 Chlorobux, money you can grow. The card/bill increases in value through proper care. Fail to properly manage your money and you may find yourself short of oxygen in this sci fi approach to "reality."